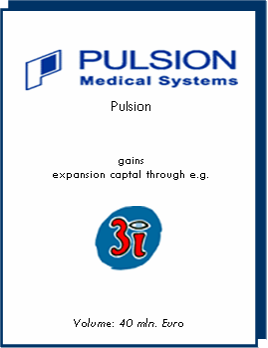 In the scope of the IPO of Pulsion, the business plan has been compiled and roadshows conducted. 3i has been found as the leading private equity Investor. Air Dolomiti, the regional Italian airline, went public in 2001, but the majority of the shares stayed with an Italian family business. After executing a put option against the minority shareholder Lufthansa, he was legally bound to make a public takeover bid to all shareholders. 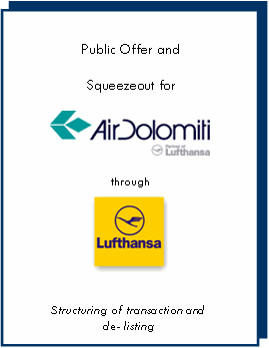 The transaction was structured and subsequently Air Dolomiti has been de-listed in line with a squeeze out. 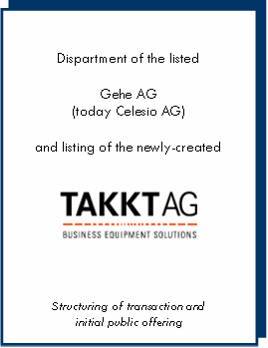 The listed GEHE AG (today Celesio AG) has been active in health care with focus on pharmaceutical trade as well as mail order business with office supplies. The latter part has been separated and went public as TAKKT AG. 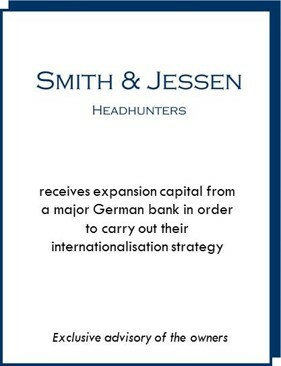 Bertsch & Associates advised Smith & Jessen, an executive search company with focus on the finance sector, on the financing of its internationalisation strategy and the opening of new offices in Paris, Hongkong, Dubai und Singapore. 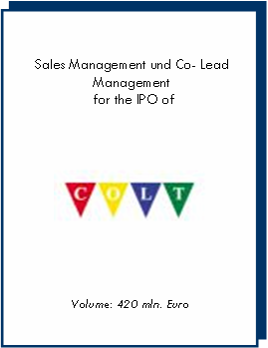 Due to the huge success in Europe, the COLT Telecom Group plc went public. The largest individual shareholder was Fidelity Investments. 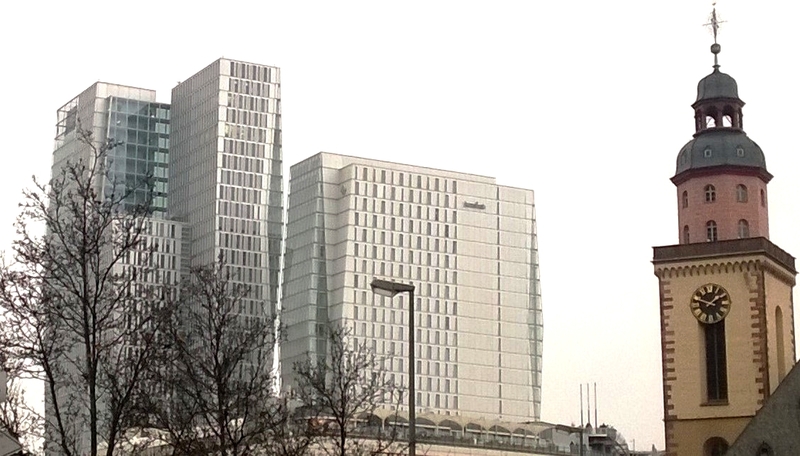 The rest of the shares is traded at the London stock exchange and the American NASDAQ. By means of the IPO and further capital increases through the issue of shares, bonds and loan stocks, the company gained additional funds to push the European expansion. 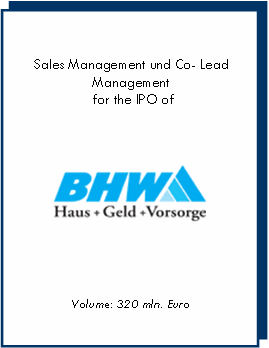 Whilst being active as a pure home-loan bank at the time of the IPO, BHW in the meantime has become, through the takeover by Postbank, the leading financial services provider in Germany with nearly 15 million customers. 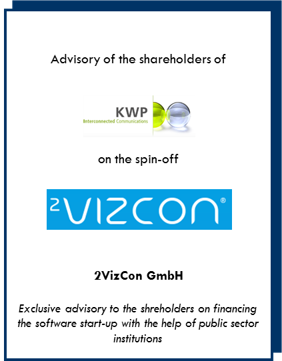 The shareholders of 2VizCon intended to acquire venture capital for the newly founded company. During negotiations with potential investors it became evident to the founders that this way they would have to part from too many shares for the future financing requirements. 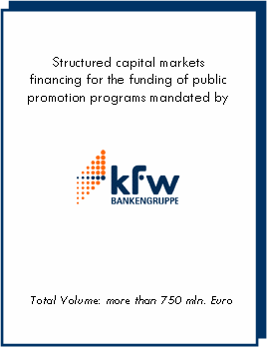 Together with the Bürgschaftsbank Hessen (gurantee bank of the state), the main bank and the founders a solution was found to finance growth without surrendering ownership. 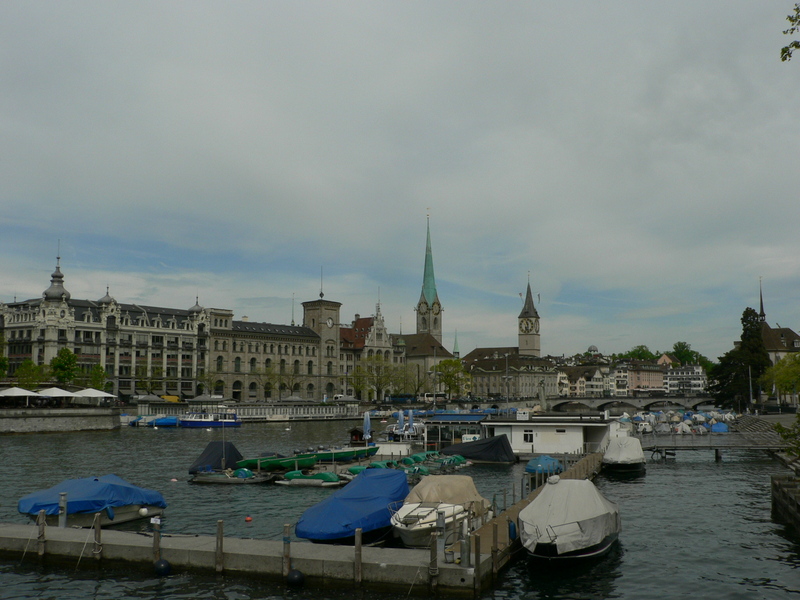 Over a period of four years, miscellaneous transactions in Euro, Dollars and Swiss Francs have been placed with German and international institutions.